Are Kids Sports Driving Sunday School Attendance Down? Over the past several years, changes in how and when we worship have fallen upon the church instead of the church goer. Why Are We Supplementing Sunday School? Due to a decline in attendance, churches are supplementing Sunday school and church services to accommodate families who want to attend church on Sunday but are unable to attend due to their kid’s activities. Over time, extra service times have been added and even church clubs have been created by many churches around the country to accommodate services during the week and at off times on the weekend. Why the drop in attendance over the years? Resources say that kids are spending more time on the field playing sports more than ever before. These activities are a huge cause of the declining attendance in “normal” Sunday church service and the need to add extra service times. Parents are enrolling their kids in various sports earlier and earlier these days. Competition to be the best player in baseball, basketball or football is becoming fierce! There are so many sports for kids to choose from that Saturday games have spilled over into Sundays too. Where kids might have played one sport in the past, they are now playing 2 or 3 sports at a time. Time is also an issue. 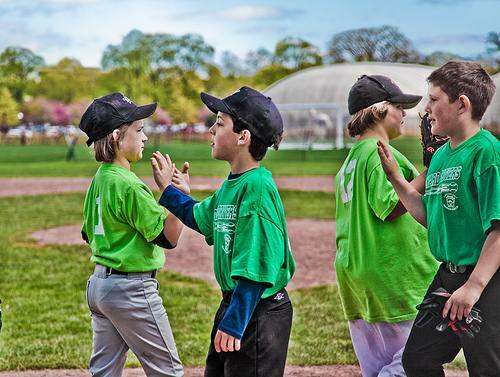 It’s important to note that most sports-related activities are run by parent volunteers typically dads. Most dads are available to help or coach in the evenings or weekends which is why sports clubs schedule practices and games on nights and weekends. Church leaders are realizing that sports are just as important to kids and their parents as going to Sunday School. This is why over the past decade, church clubs have been formed to give kids the opportunity to get the exposure of biblical learning similarly to what Sunday School would give. Clubs offer a fun and social environment at a convenient time. Children’s Ministry says that churches are frustrated that they have to compete against sports but they do understand that kids who are involved in sports statistically stay out of trouble more than kids who are not involved with sports. Also noted, according to National Federation of State High School Associations, 51 out of the 60 students who received academic mentions, were involved in sports, speech, music or debate. Sports or Sunday School? What do you think?